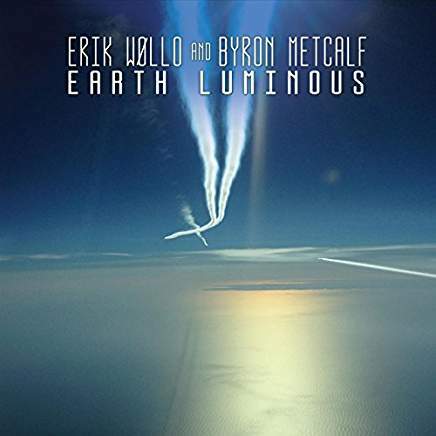 Eric Wollo teams-up with Byron Metcalf on this latest release for 2016. This one has a most definite ‘New Age’ feel to it with a lot of busy programmed, and percussive elements going on. The CD cover suspends the viewer at the end of dynamic contrail, which fades into the horizon. This album will be an acquired taste for some, as the percussion does distract from the listening experience. I don’t really seem to understand what mood is being imparted to the listener, other than annoyance; as it sounds like a jumble of disjointed sounds. The last cut: “Linked Stars” is the only ‘bright-spot’ on the entire album for me. I’ve heard Eric do collaborations with other artists before, and those are mostly, less-than-stellar achievements. Wollo does much better going solo, as neither artist benefits from this particular association. Metcalf’s CD’s; all sound the same to me, with their totality of faux tribal chanting; and enough shamanic drumming thrown-in to fiercely, accost the listener’s ear!